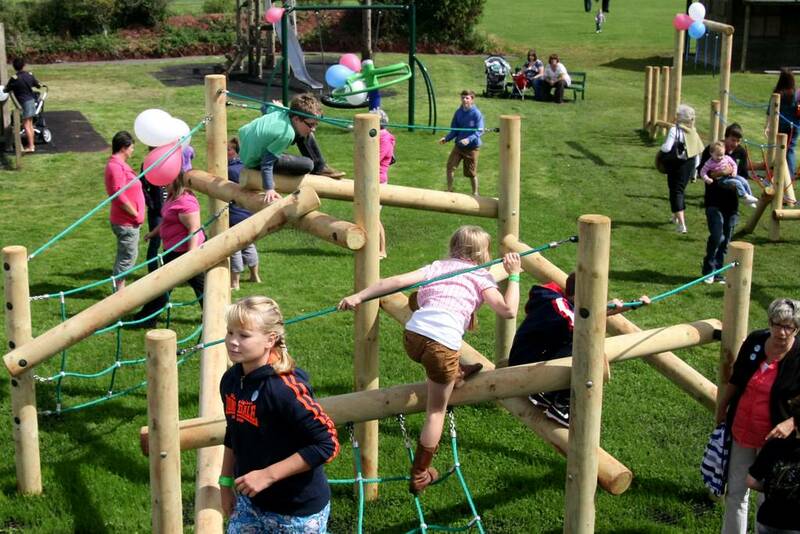 The facilities include a main hall (240m²) with an extending stage with theatre type services. It is marked out with a badminton court and is used for indoor bowls. The hall is licensed for 480 people or 250 if all are seated as for theatre. Alcohol may be served and consumed in the hall and annexe. 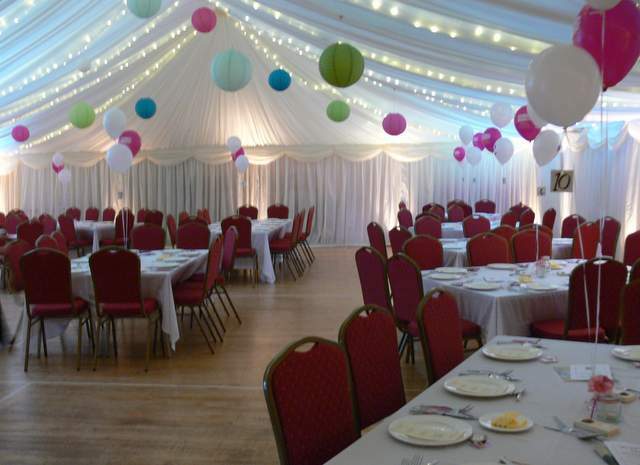 There is an associated kitchen and bar service area which has been completely refurbished including a new large range cooker, water heater and cupboard and drawer units.The picture below shows the Hall prepared for a wedding with a marquee lining - doesn't it look spectacular! There is a smaller hall (52m²) or Annexe with its own small kitchen and toilet. 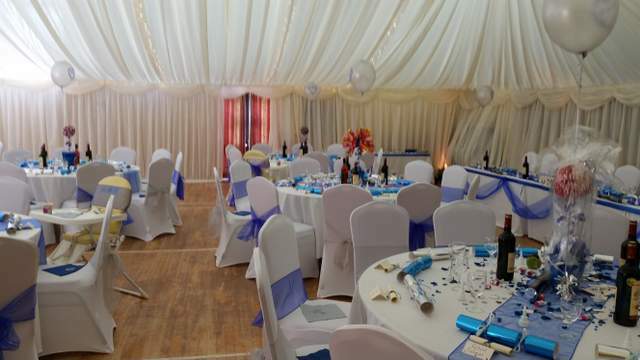 Below is another picture of a wedding in the Hall in 2015 with the marquee lining.